Specs, capacities and cycle times — learn more about the multi-spindle machine for your project. Small parts production can be easier with a Davenport machine. In A Profile of Productivity, you’re provided with an overview of the multiple industries that have discovered the value of Davenport multi-spindle machines. 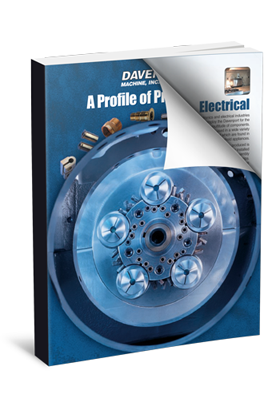 The brochure includes a display of sample parts from each industry to illustrate the versatility and flexibility of a Davenport, including the cycle times for each part.